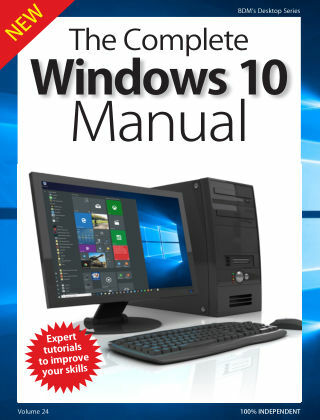 With Readly you can read Windows 10 Complete Manual and thousands of other magazines on your tablet and smartphone. Get access to all with just one subscription. New releases and back issues – all included. Discover app guides, expert Tutorials and advanced help! Windows is about much more than just browsing websites in Edge or writing that report for work. After years of improvements and refinements, Windows 10 now provides email with free online storage, photo management and editing, one of the best new Internet browsers around, an app store with millions of pieces of software, unique tablet crossover features, interactive maps and navigation and much, much more. 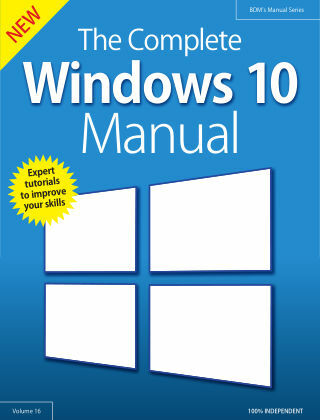 This guide is about taking advantage of these features and discovering how Windows 10 can add to or make your life easier. 100% unofficial.